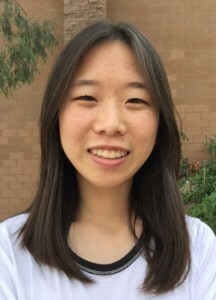 CARMEL VALLEY — Science has always been a big part of Melissa Wang’s life. The Canyon Crest Academy senior’s father is a plant biology professor at a university and her mother performs bioinformatics at a medical research institute. So, when Wang in September learned about a science contest in which students were asked to create a three-minute video that effectively communicates a science concept — with the winner receiving a scholarship that could pay for their entire education — she jumped at the chance. Fast forward two months later, and the 17-year-old Wang is one of 15 finalists across the globe in the Breakthrough Junior Challenge. The Breakthrough Junior Challenge is in its third year. Funded by Mark Zuckerberg and Priscilla Chan, the contest aims at fostering excitement for physical or life sciences among teens. Students ages 13 to 18 were invited to create original videos (up to three minutes in length) that illustrated a concept or theory in the physical or life sciences. The submissions were evaluated on the students’ ability to communicate complex scientific ideas in the most engaging, illuminating and imaginative ways. More than 11,000 students from 178 countries registered for this year’s competition, of which 3,200 submitted videos. The field was whittled down to 29 semifinalists after a round of peer review and a review by a judges panel. A lot is at stake for the winner, their teachers and their school. The winner, who will be announced Dec. 3 on the Breakthrough Facebook page, receives a $250,000 college scholarship, the teacher who inspired the winner receives a $50,000 prize and the winning school receives a state-of-the-art science lab valued at $100,000. Wang did her video — a mix of narration, stop-motion and traditional animation — on quorum sensing. “Basically, it is how bacteria communicate,” Wang said. “We slightly learned about how bacteria do this as well, and it was really interesting to me because we see bacteria as these asocial creatures, so historically people didn’t think they knew how to work together,” Wang said. “But I found it interesting that they can communicate with chemical signals through quorum sensing. “Now that we know that, we can find ways to disrupt that signal and create new antibiotic medication,” she said. She learned about the contest in September, and said she spent the month watching videos and reading materials on topic, as well as writing a script, which was easier said than done. Wang said win or lose she plans on continuing her research into quorum sensing — and other sciences — in college, where she wants to major in biology, chemistry or biochemical engineering. Her dream school? The Massachusetts Institute of Technology, which she called a “reach.” But if this contest has taught her anything, she said, it is to reach for the impossible. “I didn’t think I would make it this far in the contest, yet here I am,” she said.